The 2012 Geospatial World Forum will be held at the Amsterdam RAI Exhibition and Convention Center from April 23 to April 27. The venue is in the south part of the city and close to the airport. A. P. J. Abdul Kalam, president of India 2002-2007 and one of the country’s most famous space scientists, will give the keynote talk. 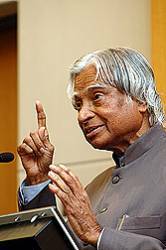 Kalam, called the "People’s President" was also known as the "Missile Man of India" for his work on development of ballistic missile and space rocket technology. The theme of this conference is Geospatial Industry and the World Economy. Convergence and integration of geospatial technology with telecommunication, information technologies and the Internet have affected a number of industries, including energy, mining, oil and gas, communications, agriculture, water, national infrastructures and local governments. The conference symposia and seminars will address these developments and encourage information-sharing among different sectors and specialties. Organizers expect 2,500 attendees, of which 1,000 will be from Asia Pacific countries, the Middle East, Africa and North and South America. Those working in the GNSS industry, government agencies and academic institutes are among the target audiences of this large event. Earth Observation Systems for Nation Building, co organized by ISPRS and ITC. Evolving Industry-Institution Network for Capacity Development, co organized by the European Association of Geographers (EUROGEO). Public-Private partnership for Spatial Data Infrastructure (SDI), co organized by the Joint Research Centre of the European Commission.